Come to Tay Hawk Resort and experience a true Canadian vacation! 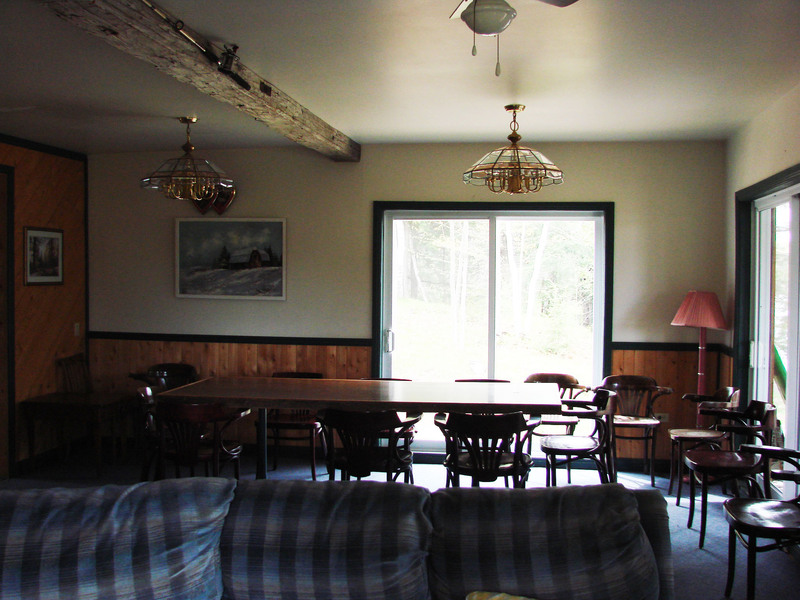 Perfect for the young or old adventurist, Tay Hawk Resort and Cottages offer fun and relaxation for everyone. Our newest addition, the Lake Side Lodge features spectacular views with a veranda on each floor overlooking the peaceful shore of Bass Lake. 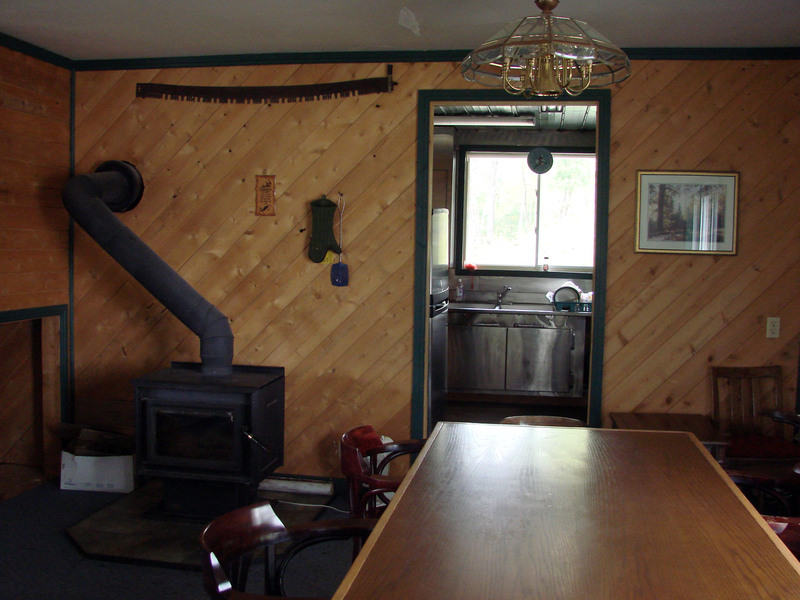 The lodge boasts a rustic look with all the comforts of home. 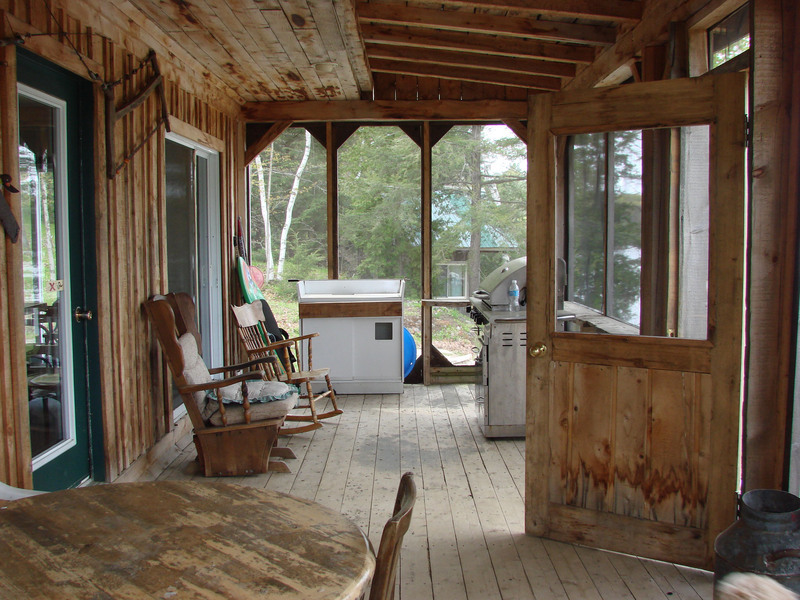 Found only steps from the lakeshore the lodge is a fully furnished four+ bedroom get away. 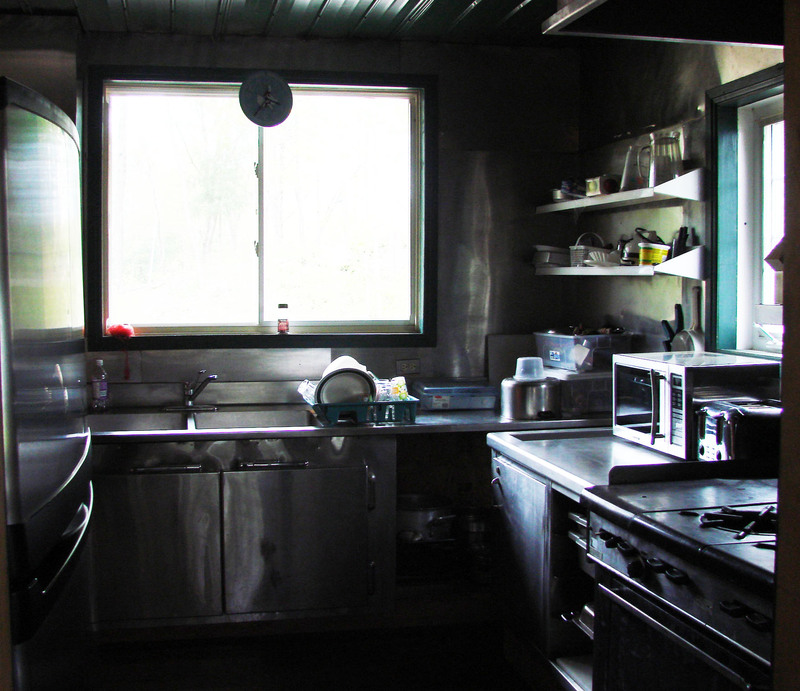 The lodge features two full baths, semi commercial kitchen to serve up to thirty, and laundry facilities. 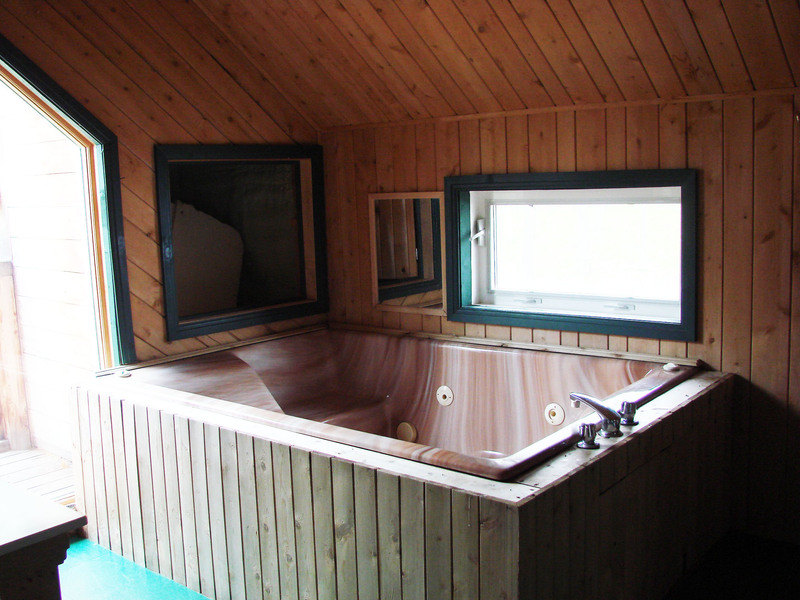 Relax after a busy day of ski doing or ice fishing in the luxury of the Jacuzzi or hot tub. 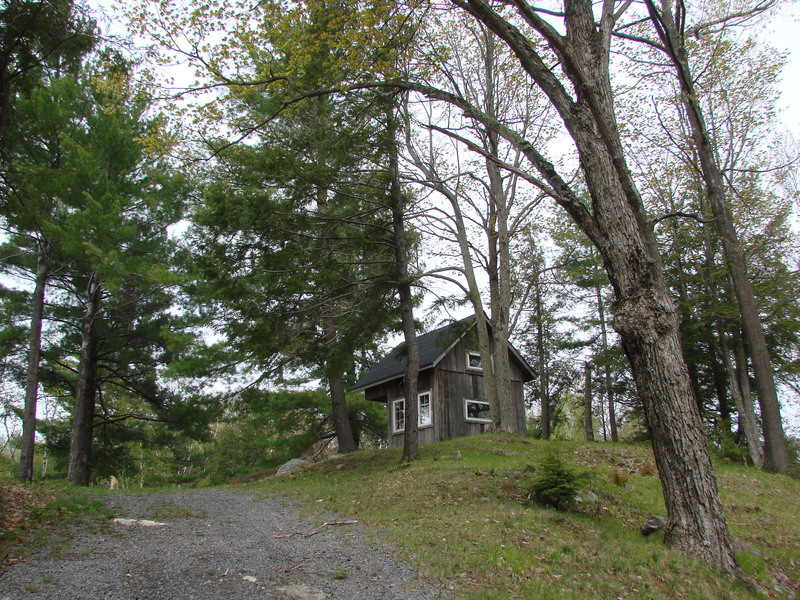 Stay in the privacy of your own lodge just steps from the beautiful shore of Bass Lake. We offer docking facilities, canoes, paddle boats, a separate play beach with bbq area and, fire pit, washroom facilities and even a genuine tee pee for the adventurists! We ask that you leave the lodge as you find it. You must provide your own towels, foods, beverages and personal items. The lodge is non-smoking. Pets are welcome but please clean up after them. Want a 'camping' experience but miss the comfort of a bed and protection of a roof? Stay with us in one of these fully furnished cabins, while relaxing by the lake shore. Each cabin has a gorgeous view, a queen size bed, lighting, electrical hook ups, and even refrigerators can be requested. 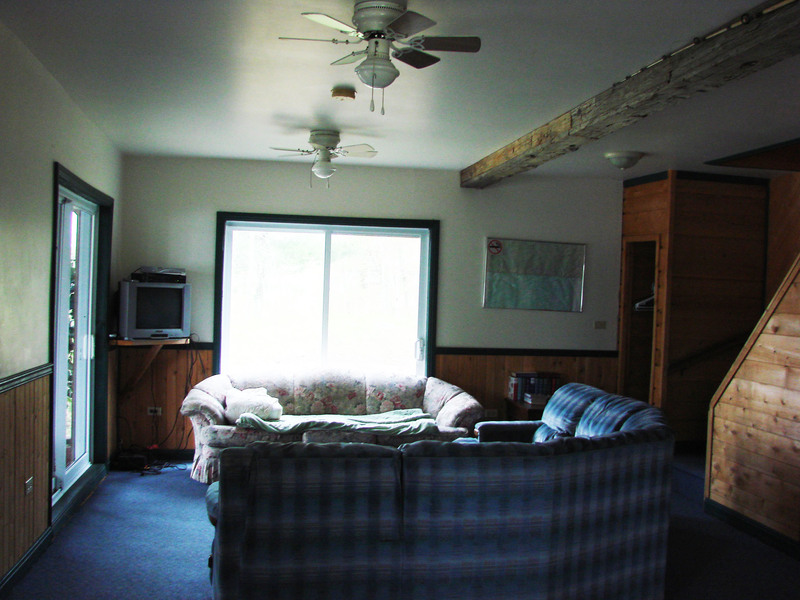 Cabins are available to rent with the Lake house or separately, one night, a weekend, or an entire week. 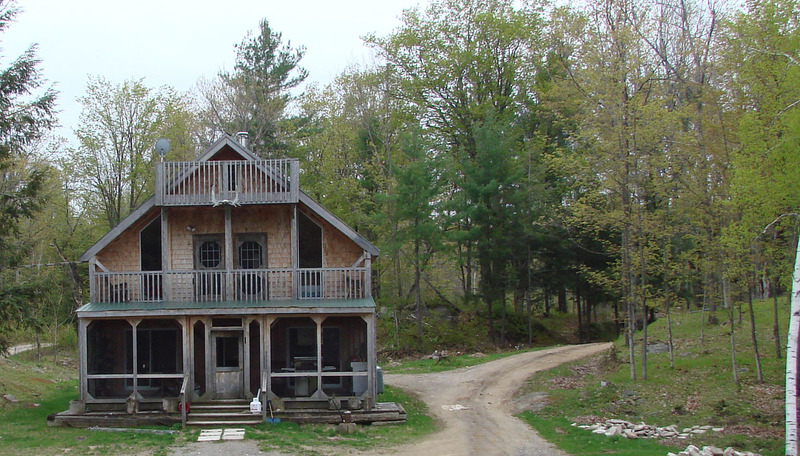 Tay Hawk Resort and Cottages is located in the heart of beautiful Frontenac County, surrounded by lakes, streams, farmland and forestry. It is within easy driving distance of Ottawa, Kingston, Peterborough and the Greater Toronto Area. The lake is peaceful, and not overpopulated like most camping or cottage lakes. It is easy to find Tay Hawk Resort and Cottages, but once you arrive, you won't want to return to the busy hassles of city life! There are three possible routes. You can take the 401 to Kingston and the Sharbot Lake HWY 38 exit, or before Kingston the Tweed exit to HWY 7 and head East through Kaladar. 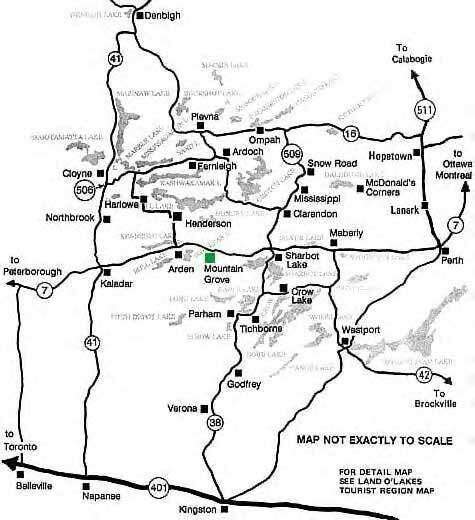 Or You can take the Peterborough exit and follow HWY 7 heading east through Kaladar. 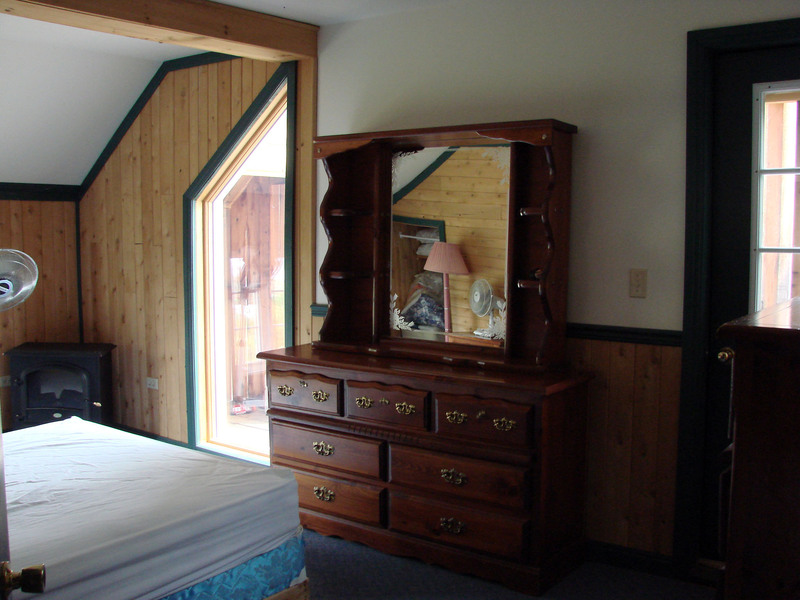 The rates at Tay Hawk Resort and Cottages vary depending on the season, the length of your stay with us, and what accomadations you will be choosing. We request you contact Tay Hawk directly for any inquiries regarding rates. All rates are subject to changes at any time. Looking for the best place to go this summer vacation? Wanting to try hunting or fishing with us? Do you need that perfect winter get away, or are you looking for the best place to hold a full family reunion this spring? Whatever your desires are, whatever the season is, Tay Hawk Resort and Cottages is your only place to be! Spring and summer are packed with fun and excitement at Mountain Hawk Resort. With over 300 beautiful acres of wildlife to roam and explore! A fisherman’s dream, catch bass, pike, muskellunge, pickerel, lake trout in Bass Lake, bring the whole crew, guides are available if you request. Take a day for bird watching, hiking, photographing, or just relax! We offer canoes, rowboats, paddleboats, guided tours, woodcarving, water fun, bird watching and much much more. Spend a night in one of our hand made tee pee’s, camp out on the beach with fire pits and water fun, spend the day water skiing, fishing, hiking, boating, there is always fun at Tay Hawk Resort, for the whole family! Fall and winter are exciting times at Mountain Hawk Resort. You will never want to leave after you begin your stay with us! Experience the beauty of a true Canadian Indian Summer at Mountain Hawk Resort. The colorful trees will take your breath away as you hike the Trans Canada Trail or canoe along the shoreline of Bass Lake. Bird watchers will love visiting our bird watch to catch a glimpse of our resident osprey. Spend Christmas or Thanksgiving with us! 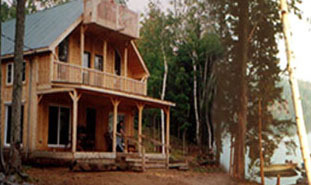 A hunter’s paradise, we have over 300 acres of wilderness, and a guide is available as well. Skidooing, snowshoeing, ice fishing; even dog sledding are just a few of the fun filled activities our guests enjoy! Only footsteps from our back door lies the Trans Canada Trail! Perfect for cross country skiing, snowmobiling, hiking, biking, and bird watching.